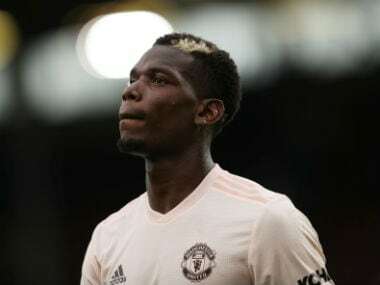 Jose Mourinho and Manchester United parted ways on Tuesday, two days after the club reached a new low in its disappointing season by losing to Liverpool in the Premier League. Assistant coach Michael Carrick will take charge of the team on an interim basis. United said it will appoint a caretaker manager until the end of the season, but didn't say who it will be. 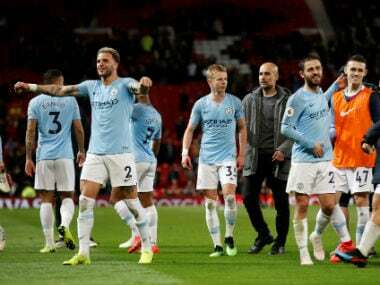 United made its move with the team in sixth place in the league, 19 points behind first-place Liverpool and 11 points off fourth-place Chelsea in the race for Champions League qualification. It is United's worst 17-game start to a league campaign since the 1990-91 season, and the team currently has a goal difference of zero. Mourinho started his two and half years tenure at United by winning two titles in his first season — the English League Cup and the Europa League — but failed to win a trophy in his second season and was criticized for the team's pragmatic playing style and his treatment of some players. Mourinho lasted the same length of time at United as he did in his previous job at Chelsea, when he was also fired just before Christmas in his third season. 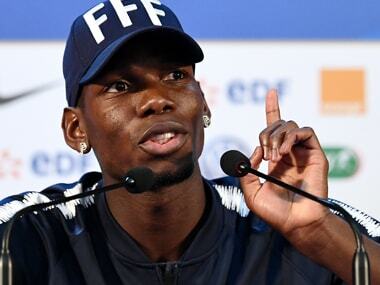 He signed a new contract in January until June 2020 and will reportedly receive compensation of £24 million ($30 million). The 55-year old Portuguese replaced Louis van Gaal, after the Dutch coach was sacked in 2016, days after winning the only title with the club – FA Cup. When the announcement was first made about Mourinho's appointment, there was a sense of optimism among fans, who were hoping that the former Chelsea and Real Madrid manager will bring back the glory days of Sir Alex Ferguson. Independent greeted the arrival of Mourinho in Manchester with the headline, 'Why Jose Mourinho is not the manager he was, but is still the right man for Manchester United'. The piece went on explain why Mourinho would bring success to the club despite the fact that his best years were behind him. 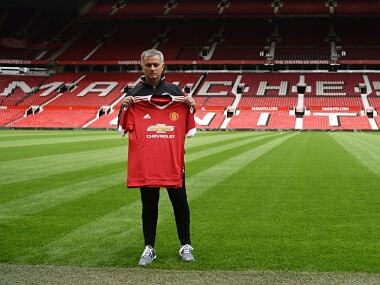 Mourinho's appointment at Old Trafford coincided with the arrival of Pep Guardiola in Manchester City. Both managers fought a bitter battle in LaLiga when they were managing Real Madrid and Barcelona. After United signed Mourinho, the Guardian carried a piece on the rivalry between the two Manchester teams' managers and how it would shape their current sides. Former United goalkeeper Peter Schmeichel, who won multiple trophies under Ferguson, thought Mourinho's appointment 'could save' the club. "He will be prepared and ready to do it but he has to go back to the values of the football club - a very strong team consisting of exciting players which are creating chances and scoring goals. All that has been missing. 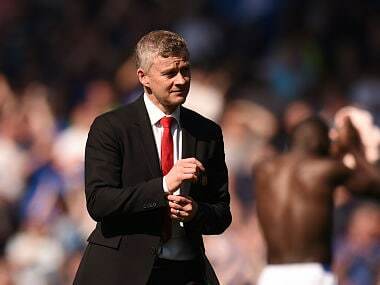 Now they have a guy that is supposed to be the biggest manager in the world, the one that really could save Manchester United. It has been a brave decision but one that is long overdue," he told BBC. Ed Woodward, the executive vice-president of Manchester United, had hailed Mourinho as "quite simply the best manager in the game today". Now, one of the main reasons for Mourinho's departure from the club is attributed to his fallout with Woodward. The Telegraph ran an article about Mourinho's managerial methods and how he will be 'ruthless and relentless' in his approach. The headline of the piece read, 'Revealed: The ruthless, relentless methods Jose Mourinho and his 'Bible' will impose at Manchester United'. Jonathan Wilson, writing for the Guardian in 2016, predicted, rather correctly, why it will be for Mourinho to replicate his previous successes with Manchester United. He writes, "Between 2002 and 2010, Mourinho won six league titles and two Champions Leagues; since then he has won two league titles and has left two clubs amid “palpable discord”. A diminished Mourinho is still a great coach, but there are suggestions that younger players do not respond so well to his abrasive style of management." Right, so essentially, Wilson had predicted the entire Mourinho and Paul Pogba saga quite a long back. As soon as Mourinho was in charge of the United team, former player Phil Neville actually wanted the manager to sign John Stones over Raphael Varane. "Varane? I know Mourinho loves him a lot. He raved about him a lot. He's probably similar to John Stones and so you probably wouldn't bring them both in. He could catch pigeons he's so fast. Stones, Varane if you could bring one of the in you'd be strengthening our back four. "I think Stones would probably be a better partner (for Chris Smalling)," Neville said. Well, Stones did come to Manchester, but he played for United's bitter rivals and ended up being a Premier League winner. Varane, on the other hand, stayed at Real Madrid, won the La Liga, Champions League and the World Cup with France.